[S405] Edmund Lodge, compiler, The Peerage and Baronetage of the British Empire (London, U.K.: Hurst and Blackett, 1856), pages 269-270. Hereinafter cited as Peerage and Baronetage of the British Empire. Edmund Dudley was born circa 1462. He was the son of John Dudley and Elizabeth Bramshot. He married, firstly, Anne Windsor, daughter of Thomas Windsor. He married, secondly, Elizabeth Grey, 6th Baroness Lisle, daughter of Edward Grey, 1st Viscount Lisle and Elizabeth Talbot, Baroness Lisle, between 1500 and 1503.1 He died on 18 August 1510 at Tower Hill, The City, London, EnglandG, beheaded. He was buried at Church of Blackfriars, EnglandG. He held the office of Member of Parliament (M.P.) for Staffordshire in 1504. 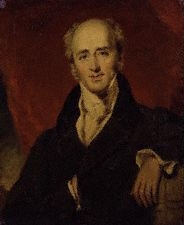 He held the office of Speaker of the House of Commons. [S6] G.E. Cokayne; with Vicary Gibbs, H.A. Doubleday, Geoffrey H. White, Duncan Warrand and Lord Howard de Walden, editors, The Complete Peerage of England, Scotland, Ireland, Great Britain and the United Kingdom, Extant, Extinct or Dormant, new ed., 13 volumes in 14 (1910-1959; reprint in 6 volumes, Gloucester, U.K.: Alan Sutton Publishing, 2000), volume VIII, page 63. Hereinafter cited as The Complete Peerage. [S6] G.E. Cokayne; with Vicary Gibbs, H.A. Doubleday, Geoffrey H. White, Duncan Warrand and Lord Howard de Walden, editors, The Complete Peerage of England, Scotland, Ireland, Great Britain and the United Kingdom, Extant, Extinct or Dormant, new ed., 13 volumes in 14 (1910-1959; reprint in 6 volumes, Gloucester, U.K.: Alan Sutton Publishing, 2000), volume II, page 230. Hereinafter cited as The Complete Peerage. Her married name became Dacre.1 From 29 January 1566, her married name became Howard. 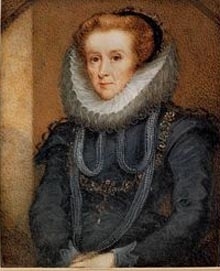 After her marriage, Elizabeth Leyburne was styled as Duchess of Arundel on 29 January 1565/66. [S6] G.E. Cokayne; with Vicary Gibbs, H.A. Doubleday, Geoffrey H. White, Duncan Warrand and Lord Howard de Walden, editors, The Complete Peerage of England, Scotland, Ireland, Great Britain and the United Kingdom, Extant, Extinct or Dormant, new ed., 13 volumes in 14 (1910-1959; reprint in 6 volumes, Gloucester, U.K.: Alan Sutton Publishing, 2000), volume I, page 255. Hereinafter cited as The Complete Peerage.